This is a scalable context timeline. 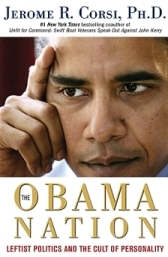 It contains events related to the event September 19-21, 2012: Alabama GOP Chairman Says Obama Fathered by Communist Activist, Promotes Film Claiming Obama Plans to Impose Marxist Dictatorship on US. You can narrow or broaden the context of this timeline by adjusting the zoom level. The lower the scale, the more relevant the items on average will be, while the higher the scale, the less relevant the items, on average, will be. Judge David Carter. 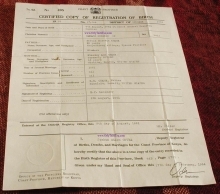 [Source: HubPages (.com)]US District Court Judge David Carter dismisses a lawsuit brought by a group claiming that President Obama was born in Kenya and, therefore, is not qualified to be president (see August 1-4, 2009). Carter lambasts lead lawyer Orly Taitz, ruling that he is “deeply concerned” that Taitz “may have suborned perjury through witnesses she intended to bring before this court.” Carter notes in his ruling that he has received “several sworn affidavits” showing that Taitz “asked potential witnesses” to lie under oath. 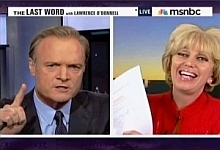 Additionally, he rules, Taitz engaged in “improper and unethical” conduct by encouraging her supporters to phone and write him in an “attempt to influence this Court’s decision.” Carter rules that Taitz and her co-plaintiffs have not presented any usable evidence to bolster their claim of Obama’s supposed Kenyan citizenship. Instead, Taitz “favored rhetoric seeking to arouse the emotions and prejudices of her followers rather than the language of a lawyer seeking to present arguments through cogent legal reasoning.” Taitz’s inflammatory rhetoric, Carter finds, “often hampered the efforts of her co-counsel, Gary Kreep… to bring serious issues before the Court.” Carter rules that he exhibited “extreme patience” with Taitz and Kreep’s filings, noting that while Taitz and Kreep filed their lawsuit on January 20, 2009, they failed to serve the defendants in the case until August 25, 2009, and only then after repeated court orders to do so. “Taitz also continually refused to comply with court rules and procedures,” he notes, and even tried to get Magistrate Judge Arthur Nakasato removed from the original case because Nakasato required her to follow the court rules. And, he writes, Taitz attempted to dismiss two of her clients from the suit because she did not wish to work with their co-counsel. “Plaintiffs have encouraged the Court to ignore [the] Constitution; to disregard the limits on its power put in place by the Constitution; and to effectively overthrow a sitting president who was popularly elected by ‘We the People’—over sixty-nine million of the people,” Carter writes. “Plaintiffs have attacked the judiciary, including every prior court that has dismissed their claim, as unpatriotic and even treasonous for refusing to grant their requests and for adhering to the terms of the Constitution which set forth its jurisdiction. Respecting the constitutional role and jurisdiction of this Court is not unpatriotic. Quite the contrary, this Court considers commitment to that constitutional role to be the ultimate reflection of patriotism.” [The Smoking Gun, 10/29/2009; United States District Court for the Central District of California, 10/29/2009] Taitz and Kreep have filed a similar lawsuit with failed presidential candidate Alan Keyes, which has also been dismissed (see November 12, 2008 and After and March 13, 2009). Taitz was recently fined $20,000 for judicial misconduct (see October 13-16, 2009). 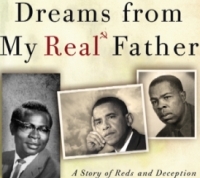 A portion of the cover of the DVD ‘Dreams From My Real Father.’ The subtitle is ‘A Story of Reds and Deception.’ [Source: Opposing Views (.com)]Bill Armistead, the chairman of the Alabama Republican Party, publicly claims President Obama is the illegitimate son of Frank Marshall Davis, an American labor activist and organizer for the Communist Party USA. Armistead makes his claim to a meeting of the Eastern Shore Republican Women in Fairhope, Alabama, where he recommends a movie entitled Dreams From My Real Father, a play on Obama’s 1995 memoir, Dreams From My Father. The film was directed by Joel Gilbert, who has described it thusly: “Admittedly, at age 18, Obama arrived at Occidental College a committed revolutionary Marxist. Dreams from My Real Father presents the case that Frank Marshall Davis, a Communist Party USA organizer and propagandist, was Obama’s real father, both biological and ideological, and indoctrinated Obama with a political foundation in Marxism and an anti-white world view.” Armistead tells the audience: “We have to win this election. This is about our country. Our country will not be the same. I’m convinced, if Obama wins, our children and grandchildren will not live under the same conditions that we’ve lived in these wonderful years. 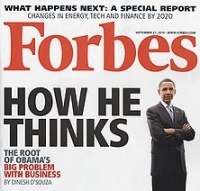 Obama has a different ideology than we do.” He then answers a question from the audience about another movie critical of Obama, 2016: Obama’s America, by conservative pundit and author Dinesh D’Souza (see September 12, 2010 and September 16, 2010). Armistead replies: “If you haven’t seen it, you should. But I’m going to tell you about another movie. The name of it is Dreams From My Real Father. That is absolutely frightening. I’ve seen it. I verified that it is factual, all of it. People can determine.” Armistead does not explain how he has “verified” the accuracy of the movie’s claims. The story of Armistead’s comments is quickly picked up by local and national press outlets, including Salon and TPM Muckraker, which say that Armistead has gone “birther.” The reference is to discredited conspiracy theories claiming that Obama is not a naturally-born American citizen. Miranda Blue, a spokesperson for the liberal People for the American Way (PFAW), says the film is a “fringe birther movie” and adds, “This is the first we’ve heard of a political leader embracing… Gilbert’s conspiracy theory.” [Mobile Press-Register, 9/20/2012] According to Blue, “A trailer for the film cuts to various right-wing bogeymen including Jeremiah Wright, Bill Ayers, and ACORN in between misleadingly edited snippets of speeches by the president and Michelle Obama.” She writes, “Gilbert’s film has divided the birther movement, since its assertion that Davis is Obama’s real father would seem to be incompatible with the theory that the president was born in Kenya.” Jerome Corsi, a writer for the conservative WorldNetDaily and a veteran “birther” (see August 1, 2008 and After, July 21, 2009, and September 21, 2010), supports the film, but California lawyer and “birther” Orly Taitz (see August 1-4, 2009, October 29, 2009, and April 27, 2011) says Corsi is “trying to kill the case by making up an American citizen father for Obama.” The film has reached a wide audience, with conservative media outlets such as the New York Post promoting it and Gilbert sending a million copies of the film on DVD to voters in Ohio. Gilbert plans to send another million copies to voters in other swing states. Gilbert says the mainstream media is ignoring the film “because they support national health care.” Gilbert told a recent National Press Club audience that Obama and his political advisor David Axelrod are both “red diaper babies,” children born of Communist parents and brought up to advance the cause. Obama, he said, is pursuing what he says was Davis’s dream of imposing a Stalinist-Marxist dictatorship on America, and that Obama worked with the now-defunct Association of Community Organizations for Reform Now (ACORN) to cause the housing crisis as part of a plan to, he said, “use minorities and the poor to collapse capitalism.” [Right Wing Watch, 9/20/2012; Salon, 9/20/2012] The film is narrated by an Obama impersonator. It contains a disclaimer noting that many of the scenes are “re-creations of probable events, using reasoned logic, speculation, and approximated conversations.” [TPM Muckraker, 9/21/2012] The tale of Obama being fathered by Davis was promulgated most recently by conservative agitator Andy Martin (see Before October 27, 2008) and other far-right sources.